Former President Obama stopped by the lab last Saturday. To say that it was unexpected would be an understatement. Willa was in the front room watching Food Wars, when out of nowhere the former POTUS just walks through the front door. Without missing a beat, Obama plopped himself on one of the front couches. Immediately following him were Secret Service holding guns…um..laser guns..
Suraj walked in the room to witness Willa fainting. Without missing a beat, Obama posed for the following photo-op. Obama told Suraj he was bored, and would now be counting his spoons. Using his NSA powers, Obama reminded Suraj that he knows his browsing habits, and getting between him, and his spoons would end with those habits being leaked. 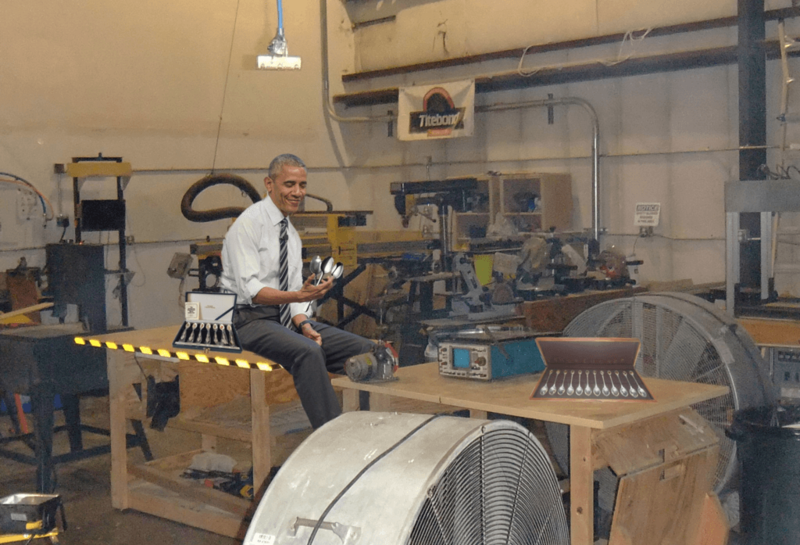 For the next 6 hours Obama sat in the warehouse…with his spoons. The Secret Service wouldn’t let anyone near. They did allow for a photo to be taken. 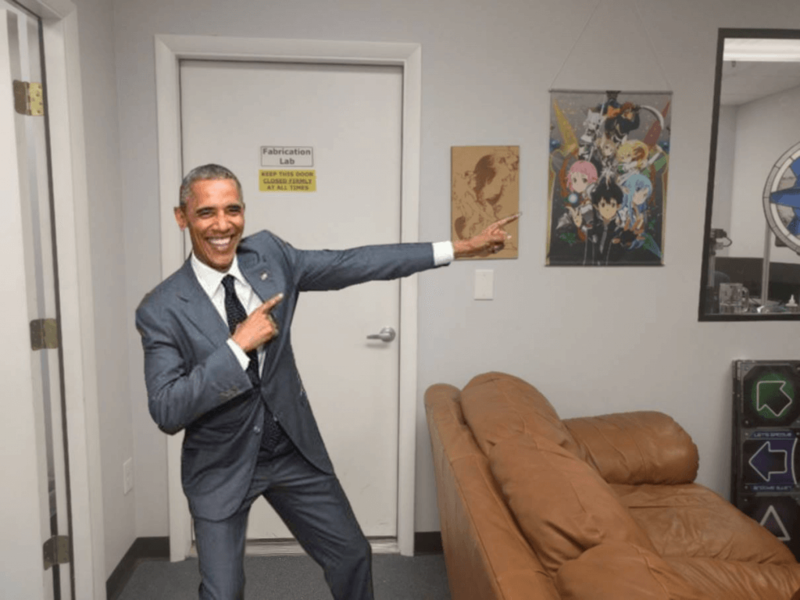 He then got up, and left without any additional comment…um thanks for the visit Obama. Hi, you may also know me by my IRL name, Ted. I love this. So True!! !